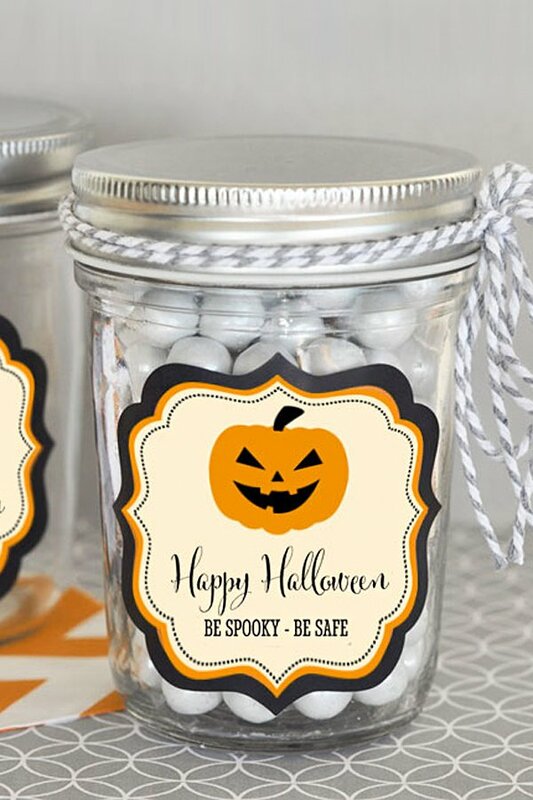 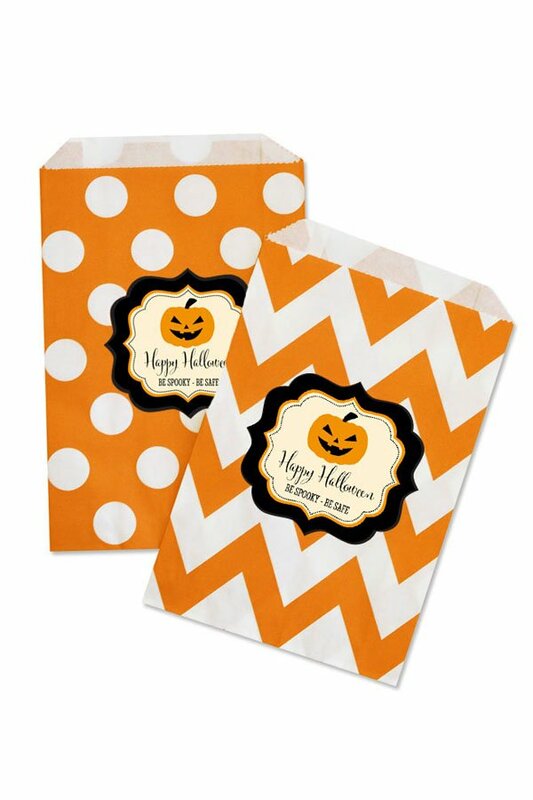 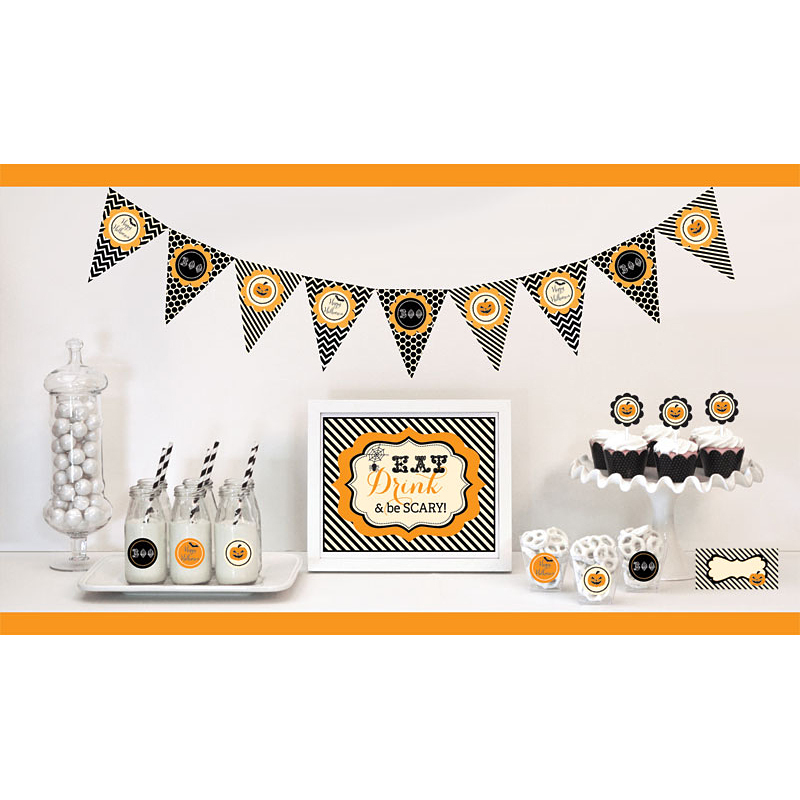 Decorate your Halloween favors and guest souvenirs with these clear stickers printed with spooky Halloween faces. 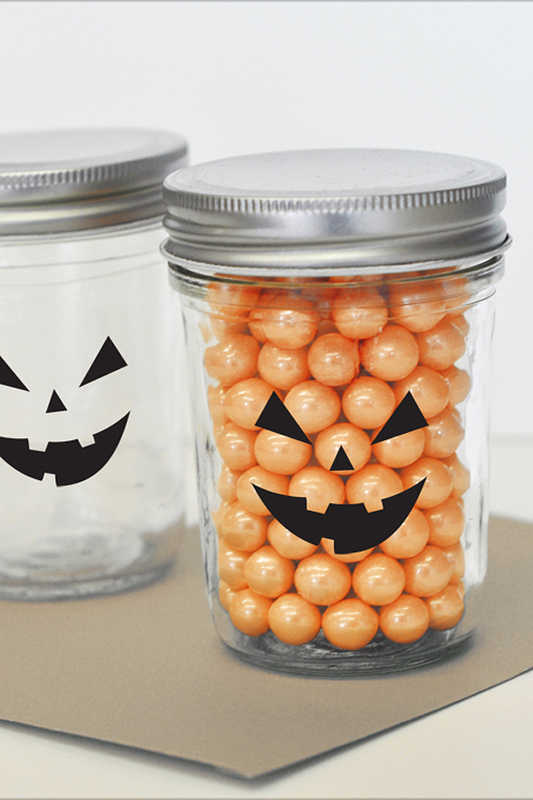 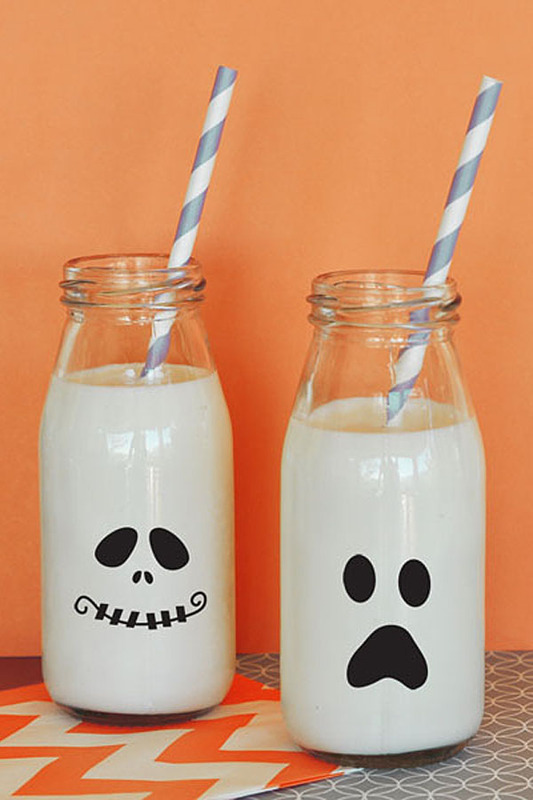 Place them on your own Mason Jars, Milk Bottles, clear plastic cups, candy bags, and more. 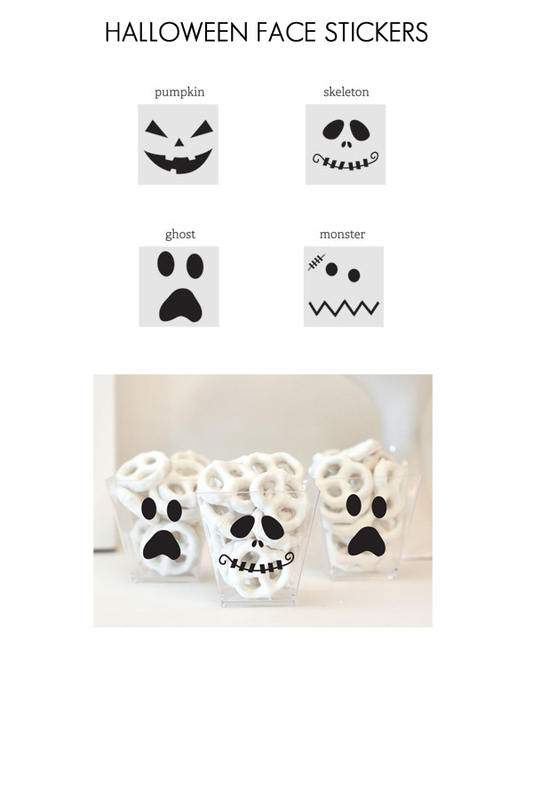 Choose from Jack-O-Lantern, Ghost, Monster or Skeleton faces and more to scare your guests.